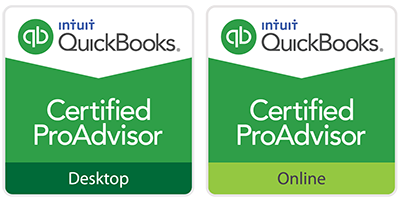 QuickBooks also you to do just that with its Online platform which leverages cloud technology to meet your small business accounting needs. Before you begin navigating the software for your small business accounting needs, you should ensure that your Chart of Accounts (COA) is properly set up and customized for the industry in which you operate. The Chart of Accounts is one of the first things you will need to create after you set up a company file in your online bookkeeping system. Having a Chart of Accounts gives you a place to record the payments you receive. Without it, sending invoices and receiving payment can get confusing. 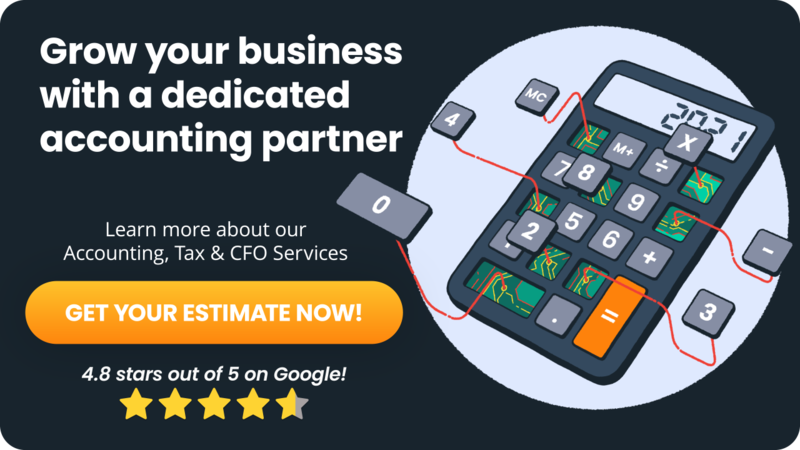 Completing these steps is imperative especially around tax time, when running reports, or forecasting cash flow. Make a list of zero balance accounts. These are often non-essential or unnecessary. Small balance accounts may be duplicates. Audit account names for accuracy and naming conventions. Customize your chart of accounts settings. Decide if you want to use account numbers to prioritize account order. If you operate a religious, charitable, educational organization or other type of 501(c)(3) then you are already aware that you have to meticulously track money in and money out. Maintaining audits that show nonprofits reuse a certain percentage of revenue to fund business operations is imperative to the overall mission of any nonprofit organization. Because of this, it’s important that nonprofits are organized in how they keep accounting records. A key component of that is having a clean and properly maintained COA. Under United States Generally Accepted Accounting Practices, the Financial Accounting Standards Board (FASB) mandates that nonprofit organizations divide financial information among specific categories, or funds and produce standardized reports on them. Having an accurate Statement of Functional Expenses is important to the IRS and taxing authorities, as well as for fundraising purposes and accountability to the Board of Directors. Before you begin tracking expenses, be sure to turn on “classes” which is how QuickBooks categorizes transactions. Next, click the + sign, then Expenditure. You can then assign multiple lines to an expenditure item as shown in the below example. Nonprofit accounting staff can also select these categories and pull up QBO’s standard profit and loss report to collect all the information needed for a Statement of Functional Expenses. The restaurant industry also has some unique needs when it comes to financial reporting and COA. Food Sales: Small business owners in the restaurant industry should use this account to track gross revenue from food sales. Beverage Sales: Restaurateurs use this account to track gross revenue from beverage sales. When it comes to expenses, it is advantageous for QBO users to set up several main expense accounts with subcategories as detailed below. Cost Associated with Beverage Sales: This account tracks expense revenue for beverage sales. Cost Associated with Food Sales: This account tracks the expense revenue for food sales. Discounts and Comps: This account records meal discounts or comps applied. By definition, operating expenses are those that occur as part of the normal day-to-day running of the business. These expenses include things like cash underages and overages, bad debt, credit card chargebacks and fees, equipment leases and expenses, marketing spend, print services for menus, legal and tax preparation fees. This includes management and regular wages, employee benefits expenses, employee meal plan expenses and health insurance. Occupancy expenses are related to a brick and mortar (or sometimes a mobile) restaurant. This expense account includes sub-accounts like rent or lease payment, utilities, pest control expenses, cleaning and security. Follow the same steps listed in the previous example to create major expense accounts for: General Expenses, Operating Expenses, Labor Expenses and Occupancy Expenses. Afterward, you’ll need to create sub-accounts to track each individual line-item expense, like Rent for instance. And link them to the appropriate parent like Occupancy Expenses. Tip: The account type must be the same for both parent and sub-account. Example: Expense accounts can only have a hierarchical relationship other expense accounts. Whether you are an investor, a property manager or an agent, you already know that Real Estate Management (REM) is a tough industry that comes with risk, liability and financial unpredictability. That’s why it’s vitally important for real estate professionals to have a well-organized chart of accounts that is customized for success. Charts of accounts can be organized in alphabetical order or account number. The sort order is pre-set in QBO and defaults to alphabetizing accounts unless numbers are manually entered at the start of the Account Name. 7000s: Property Taxes, Utilities, HOAs, Insurance, Etc. As far as QBO is concerned, the best way to set up individual properties is as a sub-account of a parent. Each parent is a line item that follows the numbering schema we’ve been discussing above. If you drill down to 7200 - Utilities even further there are additional hierarchical relationships. These are properties. For the purpose of this example, the REM owns two of them. 7201 - 1102 Springfield Dr.
7202 - 1117 Chestnut Ln. Using this system offers the most room for a REM to grow their property portfolio. Small business owners in real estate can use the same steps for creating parent, sub-accounts, and hierarchical relationships as described above in the sections for nonprofits and restaurants. Pro Tip: Although these account numbers can be helpful, they aren’t absolutely necessary, especially if you’re a small business. Over time, they can become confusing, complicated and cumbersome. The key is to make sure your account line items have clear titles that are easy to keep track of and remember. Simple straightforward account titles such as “Credit Card Fees” or “Construction Materials” are a great way to start. As a small business accounting blog, we would be remiss not to include some helpful information for contractors. This includes construction firms, landscape architecture companies, HVAC companies and other small businesses that provide services on a contractual basis. 5000s - 7000s: Marketing Expenses, Warranties and Bonds, Finance Expenses, Cost of Sales, Indirect Spending, etc. Go to the Gear Icon and select Chart of Accounts. Navigate to the top right corner. Select New. Having a good handle on the various accounts you need to set up based on your industry offers an excellent stepping stone to improving your business finances. However, you may still need more help with the books to ensure that all your financial records are kept up-to-date each week. Remember, having accurate real-time data in a well-organized chart of accounts will allow you to make the most informed decisions for business growth. Instead of managing the books on your own or hiring an expensive in-house bookkeeper, consider the services of an outsourced accounting firm like Ignite Spot. We offer a complete bookkeeping solution including: bank reconciliations, customer invoicing and collections, bill payment, credit card management and more, at a fraction of the cost. We can provide guidance for your business allowing you to focus on growing your business instead of feeling frustrated when it comes to recording journal entries, ledgers and invoices. Let us help get you started on the journey to fully automating your finances in the cloud leveraging small business accounting software like QuickBooks. If you’re a small business owner looking for fast, affordable and convenient ways to streamline your operations, improve cash flow management and scale your business, then reach out to our team today.